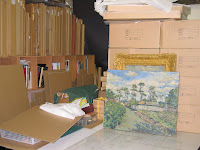 A new modern art venue has been opened in Moscow in September 2008. It is called the Garage and is literally an old Bus garage which has been renovated and bought by the Russian billionaire, Abram Abramovich as prohect managed by his girlfriend Dasha Zhukova. However it is not simply an old garage for buses but one of the most outstanding industrial architectural projects of its day. The arage was designed in 1925 by Constantine Melnikov who was one of the most innovative architects of the post revolutionary period of the 1920s and 30s. 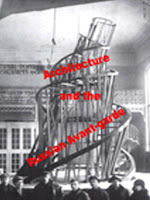 In 1999 The film "Architecture and the Russian Avant-garde" was shot in Moscow and is part of a series of six films by Copernicus Films about the Russian avant-garde of the 1920s an 30s. In the film I devote a large portion of time to this artist and architect along with Malevich and Tatlin whose artistic innovations and experiments contributed to the devlopment of Russian and Soviet architecture. After I filmed the somewhat down at heel exterior of the building I could never of imagined that it would eventually be used as an art gallery in Moscow, especially for a gallery which will display wooks of art by artists who previously had to present their work through underground channels or abroad. When I was filming it was still being used as a garage for the municipal transport system. I desperately wanted to film inside but was denied permission by the authorities. However the unique and innovative design was there for anyone to see. It is built in a series of parallegrams to maximise the use of space in combination with ensuring a high level of functionality. The growth of car and petrol driven transport required new and bold design answers to cope with the new technological phenomena. Melnikov designed several other garages in Moscow which still exist today and are still in use. Below are pictures of the Intourist Garage (below) with a sweeping circular window which houses a ramp leading to the various stories. Other architectual projects include "Club Rusakova" (below) . Melnikov was against the use of flabby weak architectual design and prefered load bearing structures with a clear functional aspect but at the same time aesthetically coherent. Melnikov also built his own house(below) in the centre of Moscow in order to demonstrate his design for circular homes. These buildings and many others also appear in the film by Michael Craig "Architecure and The Russian avant-garde"
The Opening of "The Garage"
"David Burliuk and the Japanese Avant-garde" was released on DVD in the autumn of 2007. The film charts the work of the Russian futurist David Burliuk in Japan. After he left Russia during the Russian civil war, David Burliuk spent two years in Japan and put on exhibitions in Tokyo, Kyoto and Yokohama. His influence on the growing Japanese futurist movement was immeasurable where he worked with Japanese artists such as Kinoshita and Murayama. The film features locations in Moscow, Tokyo, Kyoto and a small Island called Ogasawara in the Pacific Ocean which Burliuk visited in the manner of Gauguin. Japanese art was was gradually transformed in the Meiji period of the late 19th century and early 20th century after the Meiji restoration which heralded Japan's entry onto the global stage. Perceptions of Japan as a closed and traditional society changed in the aftermath of the Meiji restoration. There was a Rush to modernize and industrialize Japanese society. Some artists were beginning to recognize the hegemony of industrial society and its profound implications for art and culture. It spawned a counter culture in Japan with a tendency to rebellion by those who saw in modernism a progressive opportunity but also its tendency for alienation. However it was Burliuk who translated to Japanese audiences developments in Russian art . After just two weeks in Japan he had organised an exhibition in Tokyo entitled “The first Exhibition of Russian Paintings in Japan” which opened on Oct 14th at the Hoshi pharmaceutical head quarters in Kyoboshi. There are few records left of this exhibition but reviews described astonishing works of dangling socks and matchboxes attached to paintings and painting rendered on cardboard. Part of the film involved visiting an island called Ogasawara which is situated in the Pacific Ocean about 1000 kilometres south of Tokyo. The Journey takes around 26 hours and can only be reached by ship. Burliuk visited the island and spent about three months there painting and relaxing after his mammoth journey through Siberia and onto Japan and the various exhibitions in Tokyo and Kyoto. It made a warm change from the icy blasts of a siberian winter. I had already decided that I would follow Burliuk's journey to this island as well as film in Tokyo and Kyoto. I had already completed half the journey, albeit on a comfortable flight from Moscow to Tokyo. Now it was time to go all the way, as far as Burliuk himself went. Burliuk was a keen student of Japanese culture and much like his idol Gauguin he immersed himself in Japanese culture and art. 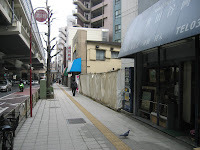 Interestingly enough Burliuk's Journey to Ogasawara began when he left by ship from a point not far from where Basho started his travels in old Edo the former capital of Japan which became Tokyo. Basho was another wanderer poet much like Burliuk who was destined to travel throughout the world seeking new inspiration for his art and life. I wasn't sure how the Ogasawara material would relate to the rest of the film. In fact sometimes I doubted the wisdom of going there at all. This all changed after my interview with Akira Suzuki. A friend of a friend recomended me to interview him as a Japanese expert of Burliuk's time in Japan in general. 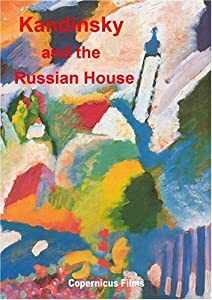 He writes about Burliuk's work and art and translates his books from Russian into Japanes He as published several translations of Burliuk's writings from Russian into Japanese as well as a number of books about Burliuk and Fialev, the Czech artist who traveled to Japan and Ogasawara with Burliuk. (Follow this link for more information about Akira Suzuki's work). Akira Suzuki turned out to have a wide knowledge of Burliuk's life and work in Japan, which very few people would have known if any at all. 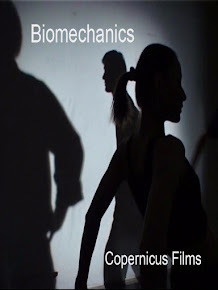 This inside knowledge and understanding proved invaluable for the film. This was especially true when he explained how Burliuk wanted to visit a south sea island and spend time painting there much like Guaguin. This was the reason he visited Ogasawara. 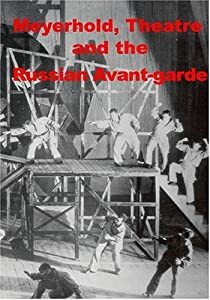 Suddenly many things fell into place and I understood why Ogasawara would be important to the film and indeed the series about the Russian avant-garde overall. Burliuk was the Father of Russian futurism and was heavily influenced by Guaguin as was much of the Russian avant-garde itself either through Burliuk's influence or generally through other artists. Guaguin himself when searching for a new form of art drew upon Japanese art as a way of discovering a new style or a new direction in art. 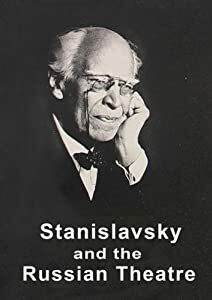 As he said himself "artists have lost, ......all their instincts, one might say their imgaination and so they have wandered down every kind of path in order to find the productive elements they hadn't the strength to create". Gauguin was the first European artist who consciously sought to synthesis the expressive means of various epochs and peoples with European artistic techniques, in particular the Japanese, opening up new possibilities for painting and art. Burliuk also was forever seeking new rhythmical structures and innovations in his work, simple solutions for expressing new ideas and phenomena. In this the Japanese artistic values of the ornamental organisation of the surface of the canvas would provide him with ample material for study. 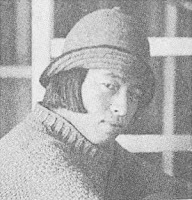 Akira Suzuki explained how Burliuk not only organised exhibitions and gave lectures, he thoroughly familiarized himself with Japanese life. He took care to understand a complicated culture full of diverse subtleties and nuances. Burliuk tried to penetrate the meaning that lies embedded in the aesthetic life of Japanese culture and art much like his idol Gauguin. The importance of Gauguin for Burliuk cannot be underestimated. Gauguin was a precurser of the 20th cnetury avant-garde movementas a whole. 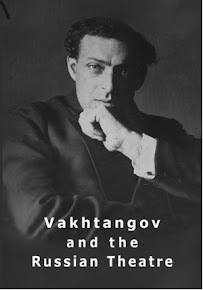 His independent and bold search for a new form of art had an enormous influence on the development of the decorative principles of the Russian avant-garde. Far from the turmoil of civil war and revolution Burliuk believed he could live and work in an environment of relative safety. 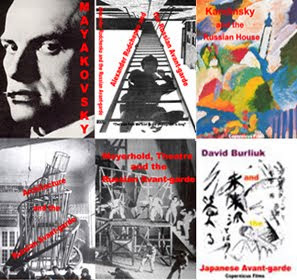 All at once, talking with Akira Suzuki, the themes of the Russian avant-garde, David Bulriuk, Guaguin, Japan, Japanese futurism and a south sea island merged into something concrete and understandable in the context of a film and in particular a film about Burliuk and his relation to Russian and Japanese futurism. From his writings we can imagine Burliuk’s thoughts as in the early morning light the ship approached Ogasawara. Coming out on deck he could gaze on the fantastic sight of an island he had never seen before. Akira Suzuki was a knowledgable and relaxed interviewee. The thing I liked most about him on screen is his easy and friendly delivery. I had the choice of interviwing him in English or Japanese. In the end I went for the Japanese with English subtitles as his enthusiam and excitement for the subject comes through when speaking in his own language. This was exactly the mood I wished to create in the film and in this Akira Suzuki helped me a great deal. The things he knew about Burliuk had a personal quaility about it, one could feel that he had a strong attachment towards Burliuk and a feel for the subject as well as having engaged in the research. His anecdotes and stories about Burliuk in Japan could only have come from sources close to the Japanese. On a later visit to Japan Akira Suzuki took myself and my wife Natalia to the very place where Burliuk boarded ship to Ogasawara. It is a quiet stretch of water in the heart of Tokyo. Later the same day he took us to a nearby region where the Hakia poet Basho lived and composed his poetry and from where he set off on his journeys around Japan seeking inspiration and enlightenment. I couldn't help thinking of Burliuk who set off not very far from the spot where Basho undertook his spiritual journeys around Japan and wondering if Burliuk felt any connection with the great poet of Japanese literature given that Burliuk was as much of a poet as he was a painter. A few days later Akira had another surprise waiting for us. 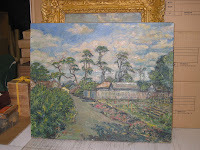 He asked me would I like to see an original painting of David Burliuk which a friend of his had in his possession. Of course we jumped at the chance. The next day we arranged to meet and we all travelled by metro to Ikejiri-Ohashi. The second half of the film is about Burliuk's influence on the Japanese avant-garde itself which was considerable. After he emigrated finally to America with his family the legacy of his time in Japan continued to live on and influence Japanese futurist artists like Kinoshito and Murayama who had a strong influence in all areas of Japanese cultural life - literature, architecture, the visual arts, design and to a large extent theatre. The explosion of passions was reflected in the two exhibitions оf the Sanka association, in the second half of September 1925. Because "Sanka in the Theater" attracted wide attention, the exhibition was crowded with more visitors than the organizers had expected. Augmented by an extra 122 works, this exhibition was the largest оf the avant-garde movement. Disparate media and subjects scandalized the public: а Dadaist assemblage of two ropes entitled Lumpen Proletariat А апd B was executed by Toki Okamoto who had come to the gallery and made it on the spot; the entrance tо the gallery was decorated by а large, three-dimensional hybrid assemblage; apart from these Dadaist pieces, some pure geometric works were also shown. The exhibition was an experiment, a scandal and a social event. The Japanese avant-garde attempted to cut across two opposing trends in Japanese art. The national traditionalist approach in art and the westernization of art which had gripped Japanese culture. Informed by Burliuk’s experiments and their own innovations they searched for new art forms which would liberate them from the confines of these two trends. Burliuk conceived elements of surface plain, texture and colour as tangible elements in painting asserting the two dimensionality of the picture surface. Such bold experiments in painting were readily taken up by Japanese futurism and the avant-garde in general giving the innovations of Japanese artists a global outlook and focus at a time when Japan was still emerging from a period of isolation and coming to grips with industrialization and its social consequences. Below is a selection of Akira Suzuki's work. He lives in Tokyo and is a one of the leading experts in Burliuk's work and life with special reference to Japan. His research into this subject was featured in the film, about David Burliuk's 2 year stay in Japan between 1920-22. Below is a clip form the film "David Burliuk and the Japanese Avant-garde" which features an interview with Akira Suzuki discussing Burliuk's work in Japan. 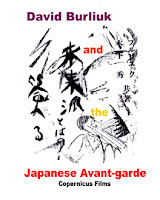 Akira Suzuki's Translation into Japanese of David Burliuk's book "Oshima" with commentary. David Burliuk wrote this account of the time he spent on Oshima. This is a translation into Japanese of the Czech artist Vacaslav Fiala's account of his stay on Ogasawara. Akira Suzuki has translated this work into Japanese and included reproductions of Fiala's paintings, drawings and engravings. The book is a perfect compliment to David Burliuk's account of Ogasawara as the two men traveled together to paint on Ogasawara much in the manner of Guaguin who in the previous century traveled to Tahiti for new sources of inspiration and impressions. 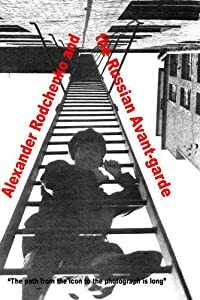 The second film in the series "The Russian Avant-garde" grew out of the first in that Rodchenko phot0graphed many of the new buildings which had been built in Moscow and which were themselves a product of the avant-garde. 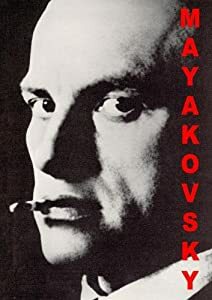 Through researching Rodchenko I quickly became interested in the Russian avant-garde as a whole and the outline of a second film had already began to emerge before the first was finished. I researched the buildings I wanted to film and spent a few weeks travelling across Moscow discovering where they were located and how best to film them. I really wanted to show the relationship between avant-garde art and its influence on architectural design of that period. I decided to structure the film around 3 main figures: Tatlin, Malevich and Melnikov. I wanted to start work in April using the same cameraman, Valentin Savenkov, as I used on the Rodchenko film. I also wanted to start in early April as some of the buildings would be hidden by trees once the leaves started to grow. We managed to get going in late April but because the spring is late in Moscow there was no real problem with leaves on trees. Some of the buildings were suffering from neglect as can be seen in the film but many were in remarkably good condition. Filming on the streets of Moscow is not without an occasional adventure and the Architecture film was no exception. The first problem arose when we wanted to film inside the house that Melnikov had built for himself, a construction of two cylinders inter-cut into each other. Valentin said that maybe Melnikov's son who lives there now would let us film inside. It might seem amateurish, not having planned this before and then suddenly decide to knock on someones door on the off chance that they will allow us to film inside their home but in Russia this is quite acceptable. We r ang the bell and the gate was opened by an eighty year old man who was Melnikov's heir and son. Thin and wiry, he looked at us with a quizzical expression of curiosity and annoyance. Valentin explained the situation and then let slip that the film was about constructivist architecture. I knew this was a mistake and I was not making a film about constructivist architecture in any case. Melnikov's son looked at us with a hurt expression in his eyes, saying, in an pained tone of voice, "Papa wasn't a constructivist - Papa was an artist". That was it, I knew we weren't going to get in under any circumstances. I went back a few days later by myself and tried to negotiate with him but again it was no good. I could see he was tired of film crews and people wanted to look inside the building all the time. Later there was a building which I wanted to film not far from Lubiyanka. It was a government building and I had already spotted a policeman standing nearby but before I could warn Valentin he had the Betacam out and up on the tripod. The Policeman waved his baton at us and Valentin took the camera off the tripod and we moved on. All in all it wasn't a good day and I didn't get everything I needed. I decided to try and film some of the more difficult buildings with a smaller camera on my own which wouldn't draw such attention to myself. I shot several buildings which I needed for the computer graphics which I planned and some of the buildings which I had missed the first day of shooting. I was filming a building in a quiet region of Moscow and gradually I could feel that people were checking out what I was doing. I had feeling someone would call the police. I just got everything that I need filmed and in the distance I could see a police car coming down the road. Fortunately I already had the camera packed away and was walking up the road towards were they were coming from and they drove straight past me. They stopped at the building where I had been filming and out of the corner of my eye I could see they were speaking to some one who came out of a building opposite. I dodged quickly into a small road between two buildings and walked quickly to the metro where I was able to blend in with the crowd. The following day I went to Red Square to shoot some material. There I could happily pose as a tourist and remain relatively anonamous. Or so I thought. It was a very hot sunny day and I began filming around the Moscow Museum which faces onto Red square and Manezh square. If you have been to Moscow, Manezh square has an enormous statue of Marshall Zhukov on a horse. Within minutes I was surrounded by a group of homeless guys who wanted to know all about the project and spoke knowledgably about what were the best angles from which to film buildings. "We know everything about this place, we live here" which of course they did - literally on the streets. They probably wanted to help me for money but I did get the distinct impression that the just wanted to help me because they were genuinely interested in what I was doing. I talked to them for a while and then moved on. A friendly faced thin middle aged man with a sun-burnt face, then stopped me and asked me to film him. "I've just spent twenty years in prison and I have come to Red Square on my first day of freedom. Take a picture of me so that there is something to say that I have existed". He smiled amiably as I filmed him and then we parted. Five minutes later we bumped into each other and smiled foolishly at each other. Fifteen minutes later, again we bumped into each other, in a different part of the Red Square complex. We both stopped and he said to me "this is the third time we have met, lets exchange coins". He gave me one ruble and I gave him one ruble from my pocket. "You're a good guy" he said and we shook hands and I never saw him after that. I don't know what the significance of exchanging coins is but it seemed very important at the time. One of the main components of the film is the computer graphics. I had never worked with computer graphics before but I thought for a film about architecture it would be appropriate. I found a guy called Vladimir Sokolov who was recommended to me by a friend and I explained to him what I wanted to do. We worked out some simple story boards and he came up with what I think are some interesting graphics of Tatlin's Tower and Malevich (see videos below) plus some others. The film was complicated by the fact that I needed to change studios half way through the editing process and this led to a lot of delays. At that time I was less familiar with studios in Moscow than I am now and more or less had to go on other peoples recommendation's. The studio I found was alright but I didn't want to make another film there. 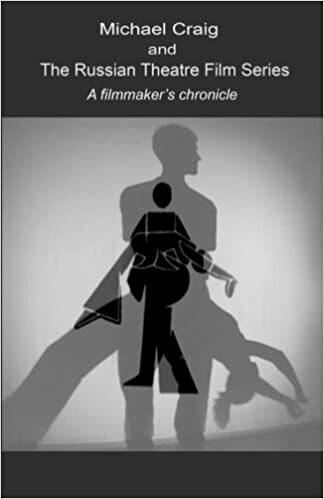 Once the film was completed I was contacted by the International Festival of Cinema and Technology to submit the film for participation in their festival which was being held in Toronto that year. They nominated it for best documentary film in the competition but the prize went to another film.